This post is from one of the 16 interns in the Real Time Farms Food Warrior Summer Internship Program (our Fall 2011 Food Warriors will be starting soon!). These interns are collecting data, pictures, and video on the growing practices of our nation’s farms, collecting food artisans’ stories, and documenting farmers markets. We all deserve to know where our food comes from! Eating too many strawberries can lead to early cases of cancer. Sounds ridiculous, doesn’t it? Well, that’s because it is! Nowadays, people instantly believe anything they read or hear without taking into account common sense. With all the latest diet fads, it is hard to uncover an actual shred of proof for these myths. Even some of the most common ‘sayings’ require some thought and are a strained form of the truth. Let’s take a fresh look into five of today’s familiar and recent myths about what we eat to see what they really mean. #1 Eating carrots can better your eyesight. We have all heard this one. Carrots seem to be a common topic when it comes to discussing a vegetable’s effect on the human body. For example, eating too many carrots does cause your skin to turn yellowish-orange. 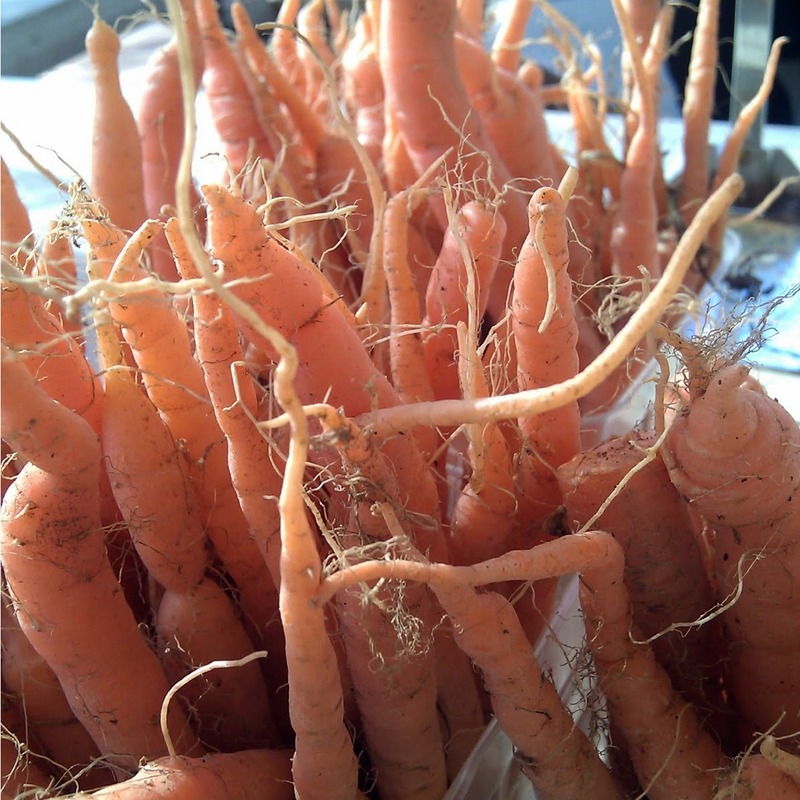 Carrots contain beta-carotene that produces Vitamin A, a fat-soluble vitamin. Buildup of the beta-carotene in your blood is what causes the color change. Coincidentally, it is not carrots but this Vitamin A that improves eyesight. However, eating more carrots will not result in more Vitamin A production, instead it will cause the reversible skin condition mentioned above and possibly a toxic level of Vitamin A. #2 Eating an apple a day keeps the doctor away. I believe this saying originated when parents tried convincing picky eaters to eat their fruits and vegetables. There is a hint of truth that goes with this myth, yet real world circumstances keep it from being entirely accurate. Studies have shown that eating apples do lower cholesterol, specifically LDL cholesterol. The pectin in apples also helps with weight loss. The Vitamin C improves your immune system, while the phytonutrients fight damage from free radicals. In addition, apples contain the mineral boron to help maintain strong bones. Apples even help clean teeth by fighting bacteria. 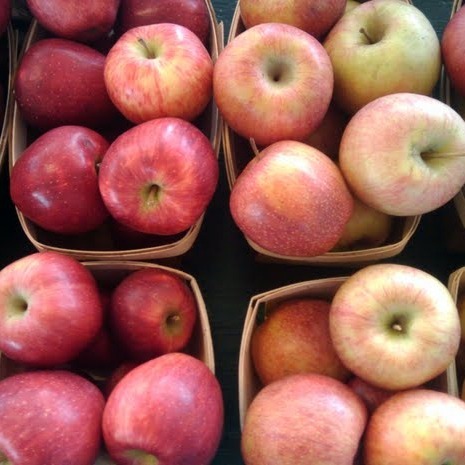 Simply put: apples are an amazing fruit to help with an individual’s health. This does not mean they can prevent all diseases and sicknesses. Sadly, not even the best super-foods can stop the inevitable health issues that come with age. #3 Eating too many cherries will kill you. I must admit, I was slightly frightened after reading this because I put dried cherries on everything. Salads, sandwiches, even soups! I was greatly relieved after doing my research that cherries themselves are perfectly safe. However, when eating these mouth-watering fruits make sure to avoid the seeds! 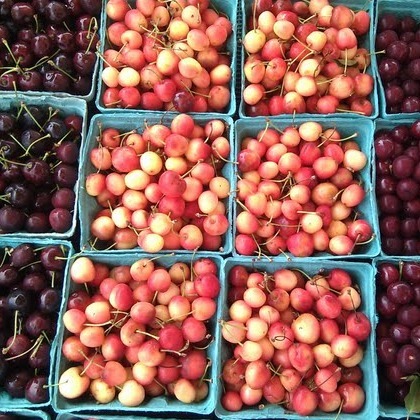 Seeds of cherries contain prussic acid, also known as hydrogen cyanide, an extremely poisonous liquid. This applies to plums, apricots, as well as peaches. Just remember when you bite into a cherry that pits are poisonous! #4 When selecting eggplants, the bigger the better. 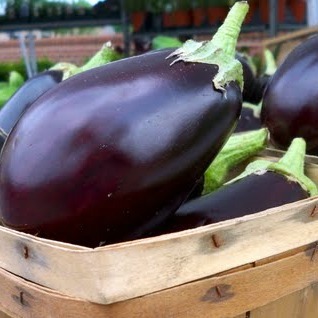 Eggplants are a testament to the statement that bigger is not always better. Oversized, aged eggplants tend to be tough, seedy, and bitter. This fruit (yes, fruit) is very perishable and the presence of wrinkles and brown spots means lesser quality. When picking eggplants, go for the smaller and immature looking ones. You are guaranteed to have softer seeds and less bitter fruit. 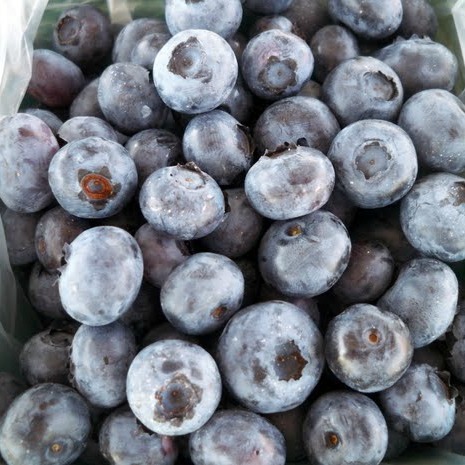 #5 Fresh blueberries are more nutritious than frozen blueberries. As a dietetic major in college, this issue comes up often. I am constantly being asked, or rather, told that what I am eating is not good for me. In this case, however, I usually have the last word. When it comes to frozen fruit and vegetables, both are equally nutritious to a certain point. Quick-freezing actually prevents large nutrient loss. Vitamin C and folic acid are the vitamins mostly affected by freezing, but are easily attained from other sources. The lesson here is simply to eat your blueberries anyway you like. This does not mean you should give up on the benefits of vegetables or starve yourself from anything with seeds. Instead take this information in consideration when choosing what to eat. Overall, if you take one piece of information with you, let it be this: eat in moderation. Eating too much of anything is not good for you. Also, when attending your local farmers’ markets keep in mind the more colorful the fruit or vegetable means plentiful nutrients and vitamins. This entry was posted in Food Warrior Interns and tagged apples, blueberries, carrots, cherries, eggplant, food myths, Real Time Farms, Susie Zammit. Bookmark the permalink.